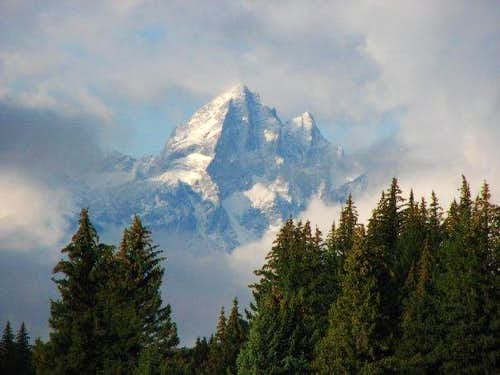 The Tetons are an awesome mountain range in northwestern Wyoming offering some of the best alpine climbing in the Rocky Mountain chain. Being one of the youngest ranges in the continent, they are very rugged and difficult to navigate. 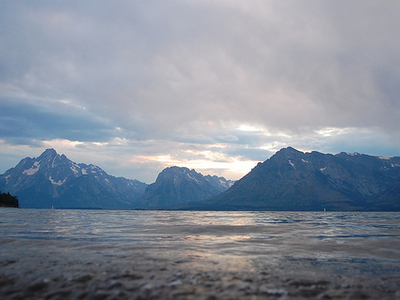 The ancient geologic processes that created the Tetons and surrounding valleys can easily be seen here. 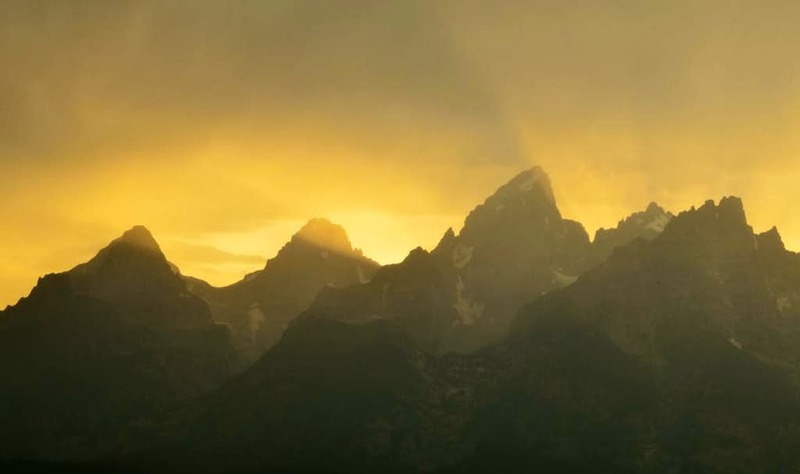 The rocks comprising the tetons are some of the oldest on earth exceeding 3 billion years old. Once covered by a very thick sedimentary package, these old rocks now tower thousands of feet above the plains to the west and east. How did this happen? Read further to find out! 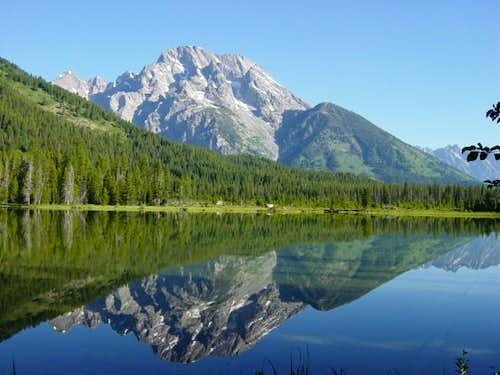 Two rectangular blocks of the Earth's crust moved along a major normal fault zone (Teton fault). One of these "blocks" rose skyward to form the mountains, the other sliding downward to create the valley to the east of the mountains. Wind, rain, ice, and glaciers constantly eroded the uplifting mountains. Meanwhile, enormous glaciers and torrential melt waters flowed southward carrying cobbles, gravel, and coarse sand and periodically re-leveled the floor of the sinking valley. Vertical displacement along the Teton fault approaches an amazing 30,000 feet. Evidence for the amount of movement comes from the present location, on the summit of Mt. Moran (6,000 feet above the valley floor) a pink cap of Flathead Sandstone. On the valley side of the fault to the east, this formation lies buried at least 24,000 feet below the surface. Also very interesting, there is a dark-colored intrusion of igneous rock 1.3 billion years old which flowed up through the gneiss and granite prior to the uplift of the Tetons (which only occurred ~25 million years ago). 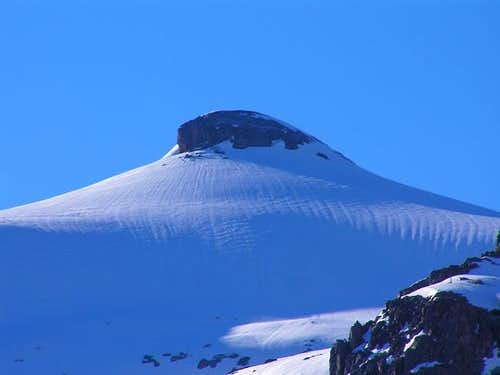 This resulted in the prominent vertical dikes seen today on the faces of Mt. Moran and the Middle Teton. The diabase dike on Mt. 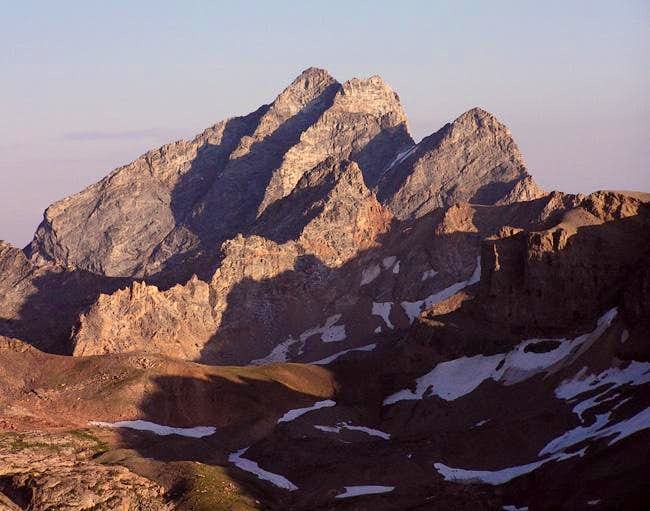 Moran protrudes from the face because the gneiss surrounding it erodes faster than the igneous intrusion while huge dike on the Middle Teton is recessed because the granite of the central peaks erodes more slowly than the diabase. 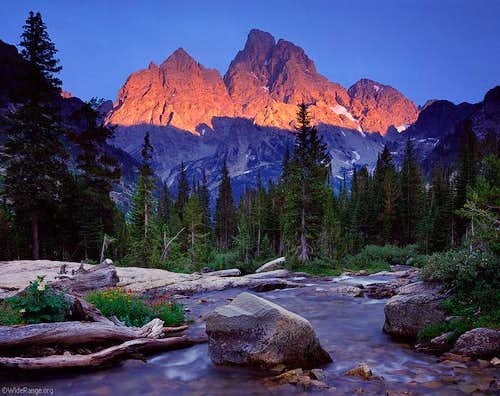 The three main peaks in the Teton range are the Grand Teton, Mount Owen and Mount Moran. 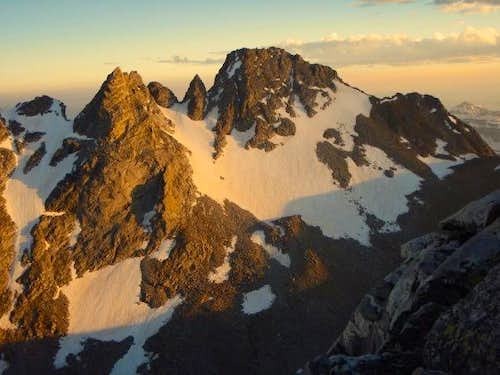 Each of these peaks offer a wide variety of alpine climbing routes all requiring 5th class climbing to reach the summit. 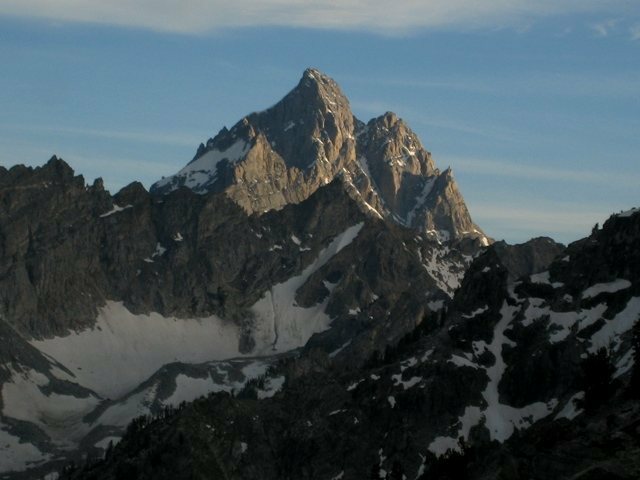 Middle and South Teton can be climbed with moderate scrambling via their easiest routes. 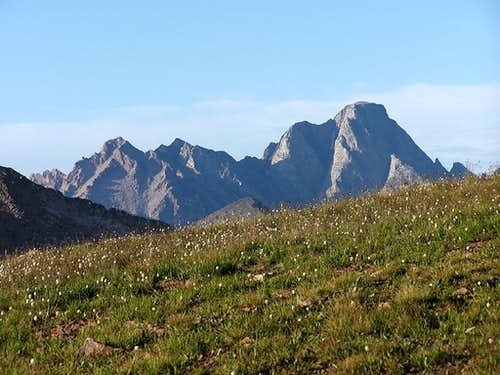 For those people looking for a place to stay while climbing in the Tetons, look no further than the American Alpine Club Climbers Ranch which is the best option for camping. It's located 7 miles past the Moose Junction on Teton Park Road. Showers and a cooking area are available and lodging is on a first come, first served basis but reservations are accepted. 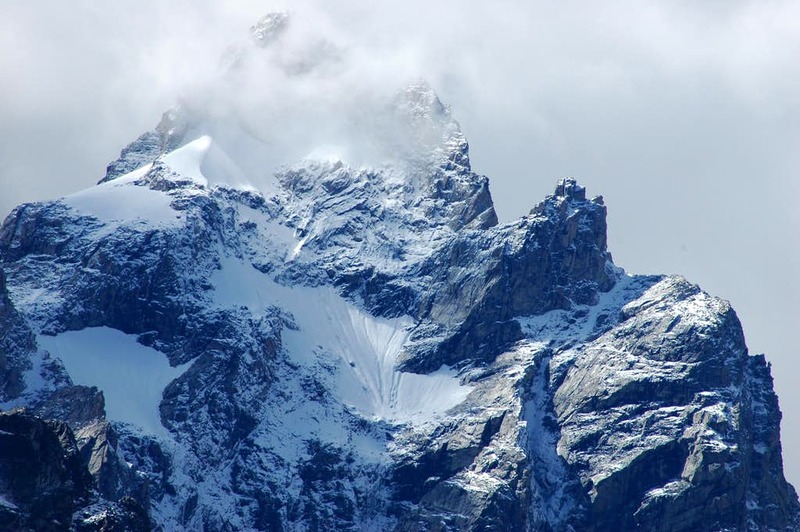 Shown below is the complete list to all ranked peaks in the Teton Range above 11,000 feet in elevation. 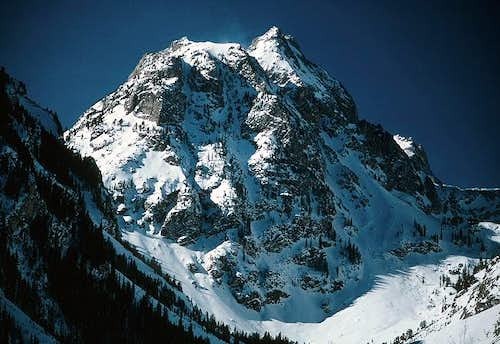 A peak is considered ranked if it has more than 300 feet of prominence. 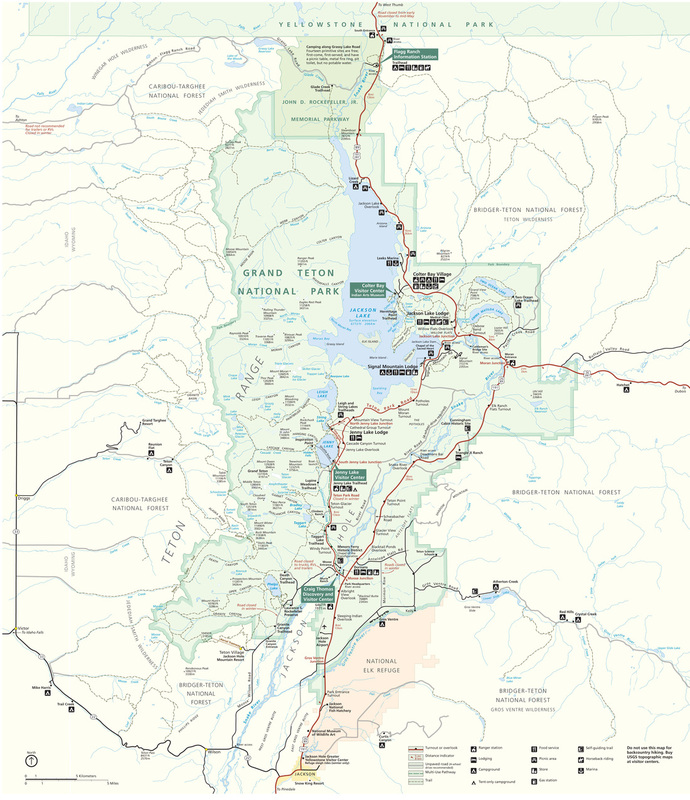 Grand Teton National Park Map. Click for full size version.